The Saban library of American tokusatsu continues its slow but steady progression to DVD! VR Troopers I was never a huge fan of, but I'd quite like to give it another watch. I'm all in on VR. 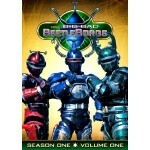 Beetleborgs is super 90's cheesy. I'll pass. Never liked VR Troopers and I don't need to see the ghost of Ronald McDonald again. I've seen less cheese on a pallet of Velveeta. Count me out on both but here's hoping for some decent extras and such for those who do get them! 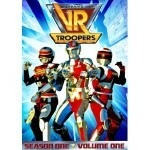 I might get VR Troopers. Beetleborgs was unwatchable for me!